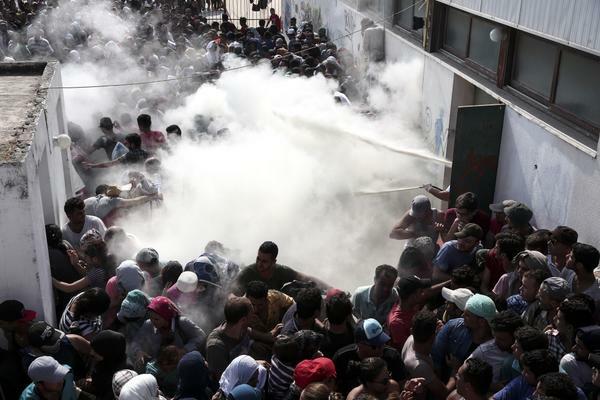 Hundreds of immigrants who entered the Greece ILLEGALLY apparently revolted against Greek authorities on the Greek island of Kos Tuesday at noon. The immigrants, who obviously have no respect for Greece and its laws, nor realize that they are here ILLEGALLY, demanded quick registration from authorities and then began blocking the main coastal road in the island's main town. They also vandalized public buildings and, as shown in the video below, even had the audacity to throw large rocks at drive by cars. Local police authorities who were completely overwhelmed by the spark in violence have been trying desperately all summer to contain the surprisingly increasing numbers of people arriving every single day on rubber dinghies from the nearby Turkish shore. 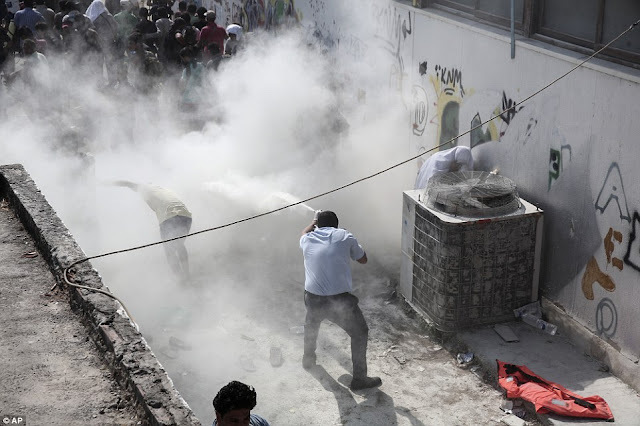 The local police tried to impose order on the crowd by spraying the jostling migrants with fire extinguishers and using batons. Kos Mayor Kyritsis has called on the government to accept responsibility for the situation. At the moment more than 7,000 migrants have forced their way onto the island making it difficult to control the situation (almost one thousand immigrants ILLEGALLY force their way onto Greek soil every single day). The Mayor of Kos warned that there is danger of bloodshed, noting that the police force is not equipped nor has the manpower to maintain control and carry out registration. He called for special forces to be deployed on the island immediately to avoid any sort of extreme conditions. A degeneration of the situation resulted in roughly 1,500 of these people gathering in the stadium where they had the audacity to begin fighting against Greek police. As seen in the video below, they are not only out of control, but are attacking Greek public buildings. These migrants, who are mostly from countries such as Afghanistan and Pakistan and not Syria like some internationalists claim they are, were literally saved by Greek residents from the island of Kos who plunged into the waters to save them from their sinking boats. This is the gratitude of these migrants! HellasFrappe has no words! We only feel pity for all the pseudo humanitarian organizations (mostly Leftist in nature) who not only advise these migrants on what to do, but also teach them how to revolt and protest. We hope, that the Greek army is called to the scene to put some order. It is obvious that these migrants are ruthless, and therefore dangerous. If they are refusing to be documented then it is because they obviously have something to hide. Let us not forget that many experts have warned us for months now that there are many ruthless (and dangerous) individuals hiding amongst this community. This is why they have to be documented. 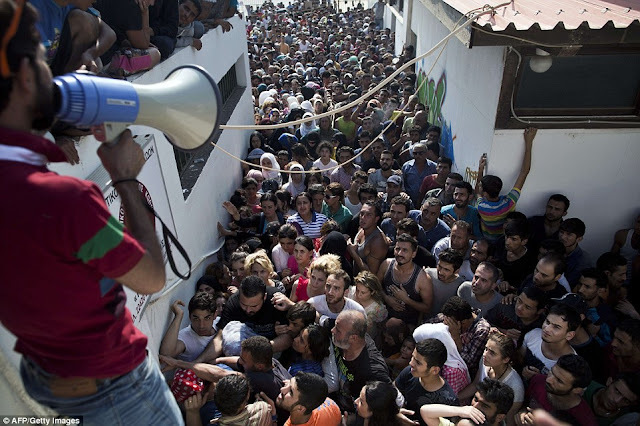 The migrants however do not respect law and order, and most certainly do not honor the fact that Greek tax payers are paying for their daily survival. What is worse, they think that they can do as they please in our country. We totally agree with the mayor of Kos, something needs to be done quickly because sooner or later bloodshed will be spilled. We personally do not know how tolerant Greeks can be. Who ever disagrees with this opinion is a closet slave trader and human trafficker in our opinion. Enough is enough!